SMART has an interesting line-up of projectors. These aren’t stand-alone projectors, but instead, they’re built to be integrated with a SMART Board. Along with the board, SMART projectors enable interactivity, you can draw on the board, while an image is being projected, and that’s why they’re commonly used in classrooms and for business presentations. remains a great, lower cost replacement, than buying a new set-up. Brightness Range: The UF55W is equipped with a 2,000-lumen bulb, which delivers a bright image even in well-lit classrooms. The bulb has a long lamp life, rated at 3,000 hours in the standard 200-watt mode or 4,000 hours in economy mode. That’s an above-average lamp life for projectors released at the same time. Fortunately, the SMART UF55’s replacement bulb – Part No: 20-01032-20 – is affordable, keeping maintenance costs low. Image Quality: When synched with the SMART Board, the UF55W enhances presentations with stellar images. 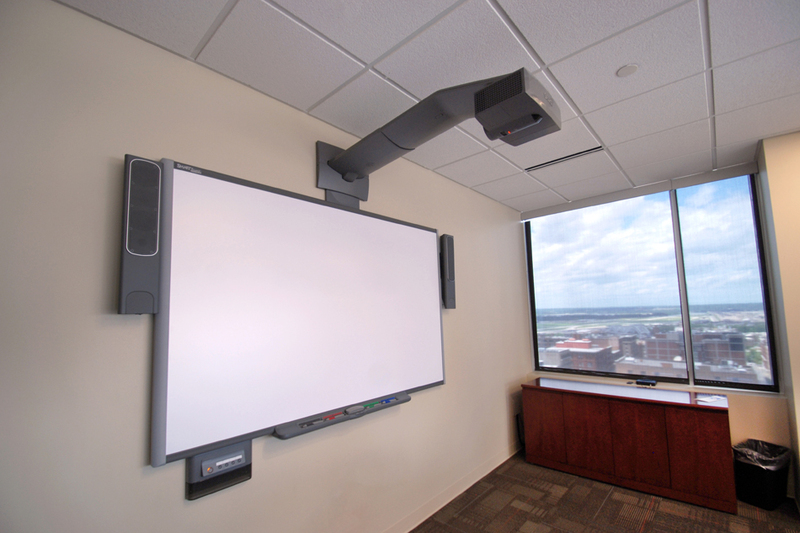 For instance, most SMART Boards measure about 80 inches, and at this size, the projector delivers a crisp image. The UF55W has a contrast ratio of 2000:1, and it’s built in the WGXA resolution (1280×800) and 16:10 aspect ratio. In other words, images are clear, with text easy-to-read for the audience. In addition, the color production is vibrant and well-saturated. Short Throw Ratio: The UF55W is designed to be mounted to the ceiling, and features a .51 throw ratio. That means it’s installed closer to the screen, and thus, presenters in the front of the classroom won’t get in front of the light source, which creates shadows on the screen. Plus, with a range of image shift capabilities, the UF55W is easy to install and set-up. Ease of Use: The UF55W is built for entry-level users, and thus, perfect for education environments, where there isn’t a lot of extra time for drawn-out trainings. These projectors feature a user-friendly menu screen, and it’s essentially a plug-and-play set-up. Teachers and business people can quickly plug their computers into the device and start presentations, which is ideal in educational and business situations. Overall, the SMART UF55W maintains its own in terms of performance, compared to similar SMART projectors today. Of course, it does show its age in a few ways, but yet, the core feature-set is ideal for classrooms. Educators can write and annotate images on the board, as well as erase what they’ve written. What’s more: The UF55 provides a range of functions, from displaying text and images to showing movies in class (up to 1080i), and for presentations, the image quality is spot-on. That’s why the UF55 remains a solid investment. Even though it’s out-of-production, a used or refurbished model is an ideal replacement that will save schools and business thousands. You can pull up web content from Hulu, Netflix, YouTube and other popular video sites on your smartphone or tablet. But those tiny images are woefully harsh on the eyes. Wouldn’t it be nice if a projector offered the ability to watch web content like your tablet or smartphone? You’re talking about the SPro2 from ZTE. 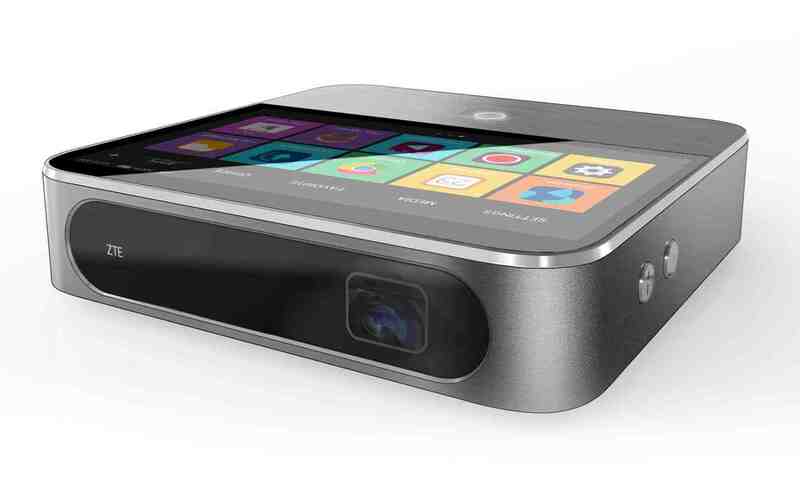 The company recently released the SPro2, which they’ve dubbed a “smart” projector. 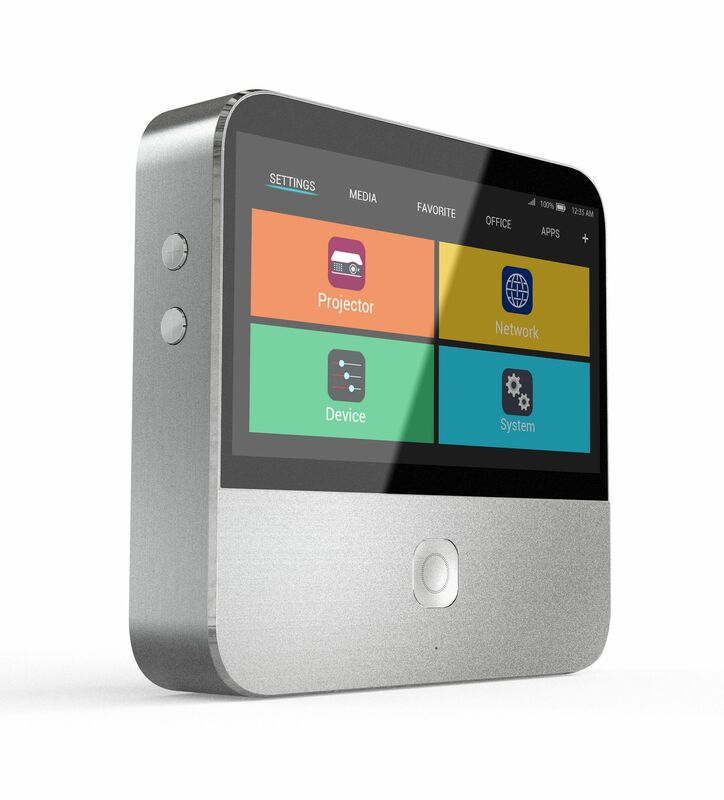 The portable, palm-top device connects to WiFi and is capable of projecting an HD image, making it easier than ever to access and project content from the web. The projector made its first appearance at the CES conference earlier this year, but it is now available exclusively at an AT&T store near you. We’ve written about pico projectors from LG and Lenovo in the past, but the SPro 2 offers something a little different. Although it’s similar in size, weighing about a pound and measuring about 5 inches by 5 inches, the SPro 2 has an easy-to-use LCD touchscreen interface similar to a smartphone, enabling users to quickly pull up videos on the screen. The device also has an LTE radio and it’s WiFi ready, so your favorite streaming video services are just a click away. Plus, just like other pico devices, the SPro2 also has USB, HDMI and audio ports, as well as an SD card slot. That means you have a full set of capabilities in an extremely portable package. It’s really the next generation of the pico projector and highlights where the industry is headed: Smaller devices with more features that are increasingly web-connected. Of course, as a pico projector, you can’t expect the image quality to match a home theater projector. But for such a small device, the SPro2 delivers a fairly resolute image. The SPro2 features a brightness rating, when it’s plugged in, of 200 lumens. That’s better than most mini projectors. For instance, Lenovo’s recently introduced Pocket Projector is equipped with just a 50-lumen LED bulb. When the SPro2 isn’t plugged in, it’s only capable of projecting a 100-lumen image or less. At 200 lumens, the SPro2 performs reasonably well for a mini projector, albeit it’s probably not bright enough for rooms with ambient light. Yet, in dark rooms, the SPro2 performs great. As for image specs: The SPro2 has a native resolution of 720p, and it’s capable of projecting an image as large as 120 inches. Additional features include a built-in speaker, auto focus and auto keystone correction functions and Bluetooth connectivity. Battery life is reasonable for a pico projector too. When streaming videos, the SPro2 can last about 2 hours on a single charge. Is the SPro2 Worth It? The SPro2 will be available through AT&T, and if you purchase a contract, you can get the device for $399. It’s similar to a tablet contract. With the AT&T service you can connect without a WiFi connection. Without the contract, the SPro2 will be $499. In other words, the Spro2 isn’t exactly affordable, and the price may be its biggest drawback. It’s not powerful enough to replace your home theater projector, and yet, there are budget cinema projectors available at a similar price. Plus, there are pico projectors available that are more affordable. The SPro2 is a handy and useful device, and the touchscreen display makes it one of the better pico projectors available. So, if you’re on the go quite a bit, and you’d like a device at your fingertips that’s capable of projecting a 100-inch image, the SPro2 might be right for you. What’s even more exciting: The release of this projector signals where the technology is heading – projectors that are easier to use and more Web-connected than ever.